While en-route to China we decided to layover in Istanbul, Turkey. Turkey has always been one of those places on my “must see” list. The culture has always intrigued me. However, in the last 1.5 years, Turkey has had a lot going on politically. Things appeared calmer than they were this time last year so we worked it into our itinerary. We flew Turkish Airlines, which is a lovely airline, and landed in Istanbul at about 4:00 pm. By the time we made it through customs we had about 6 hours to explore the city. Knowing this time was VERY limited we made the most of it by heading to some of the famous sites and grabbing some yummy food. Our first stop was Hagia Sophia. This beautiful and very old structure was quite an interesting sight. It began as a church and then was eventually turned into a mosque. 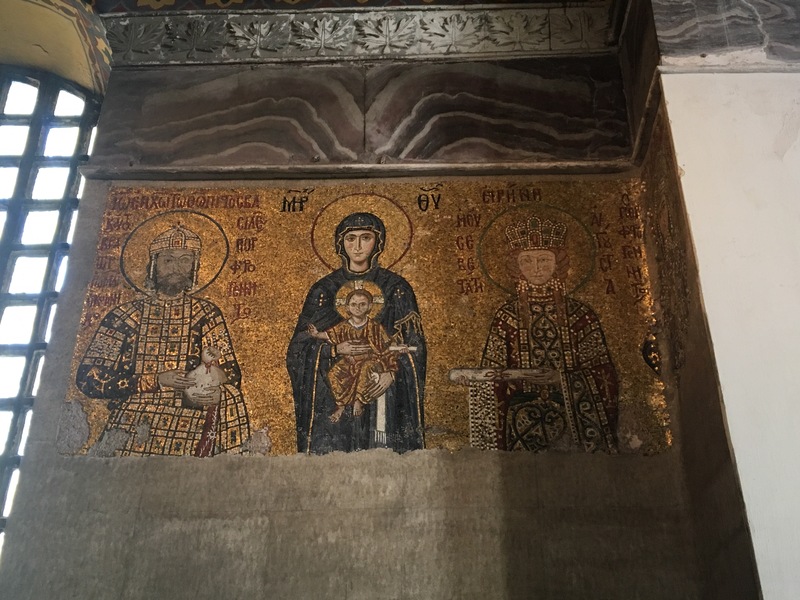 Due to this, mosaics of Christ are positioned in roughly the same area as Islamic scriptures. 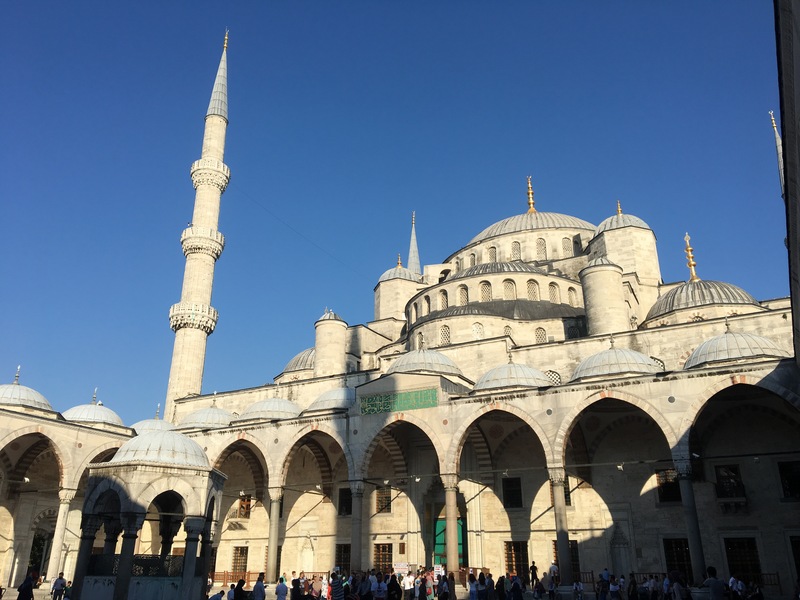 We decided to not enter the Blue Mosque as it was super crowded, but we did sit in the courtyard and take in the beauty of the architecture. Our next stop was the waterfront. 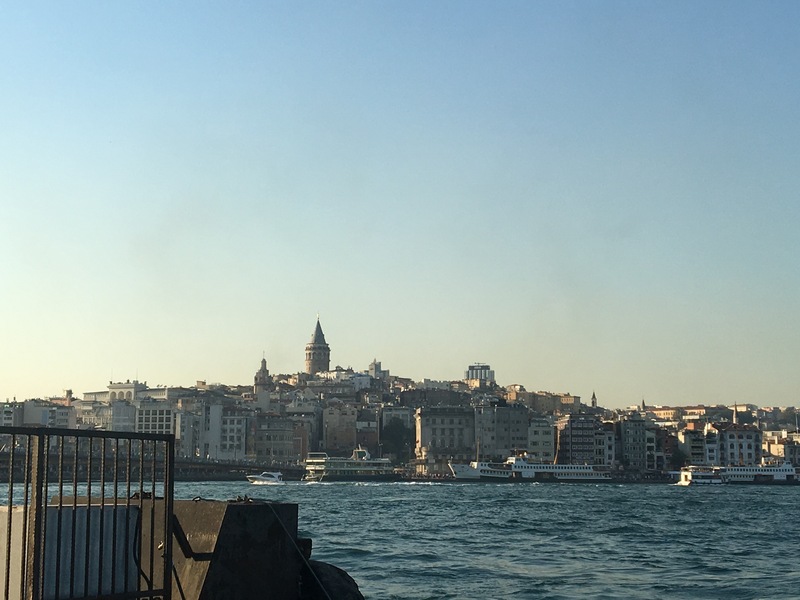 We followed the sidewalk along the Golden Horn and took in views of the Galata Tower in the distance. 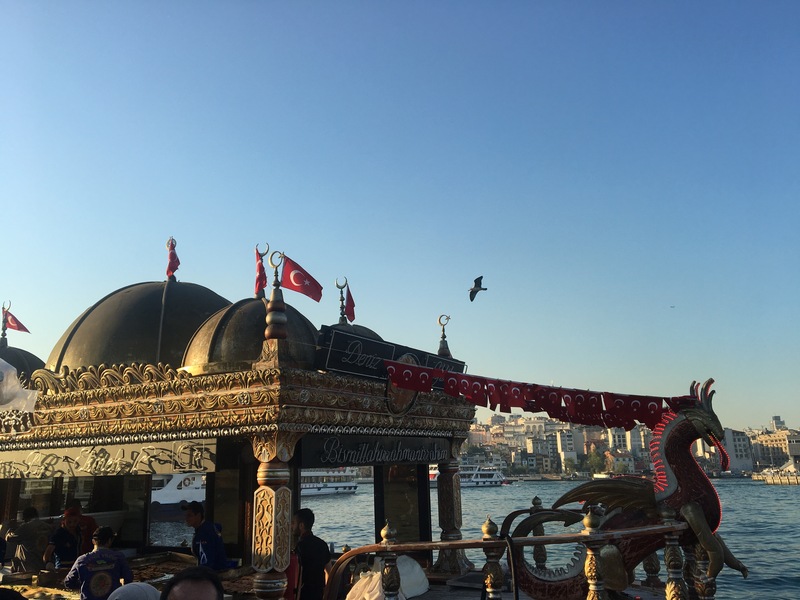 We ended up sitting in a square eating a fish sandwich (balık-ekmek) from this really cool looking boat. What great people watching. 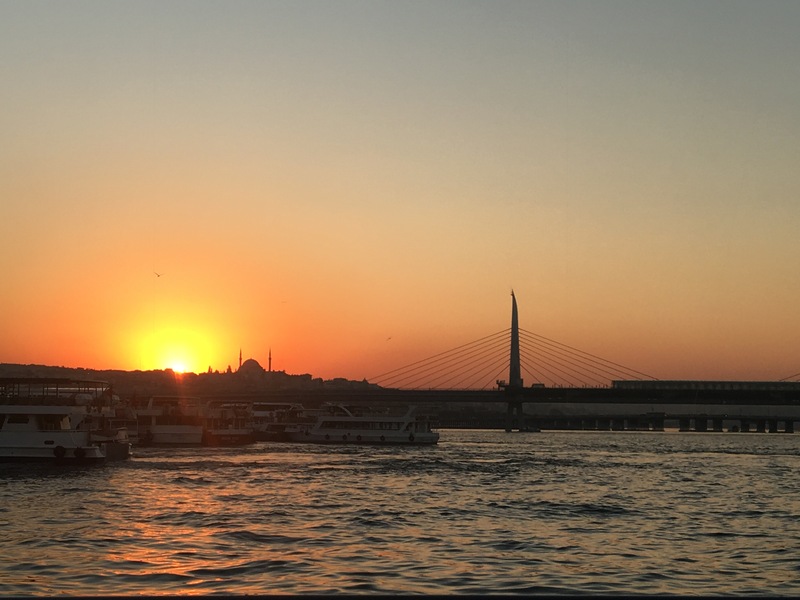 We then ended up at another restaurant by the water where we got some cold beers and watched the sunset over a local mosque. Talk about picturesque. I was bummed because I forgot to try some Turkish ice cream (as per a friend’s suggestion). However, I felt I got a good sense of the city. 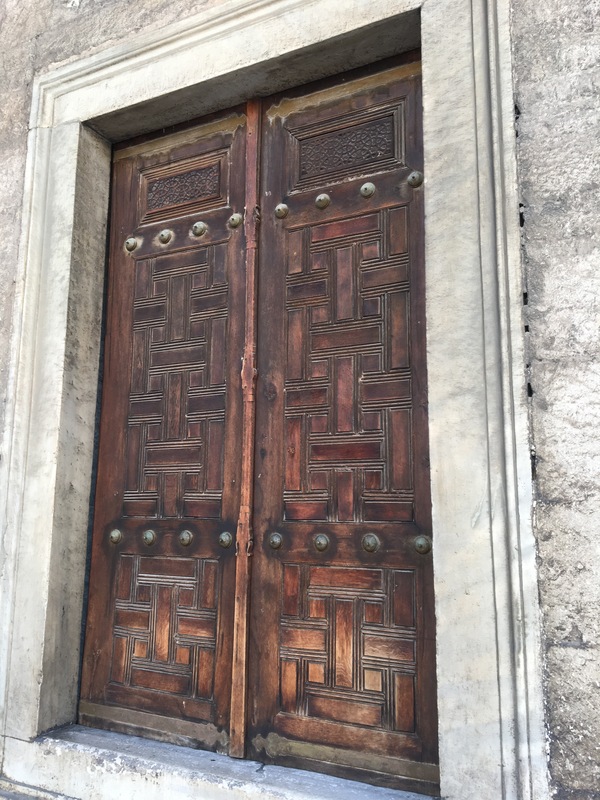 I most certainly hope to go back and have a more comprehensive view of the city and Turkey in general. Beautiful sunset!! I look forward to reading more on your time inChina. I’m living vicariously through you guys!! Yay! 😊 Thanks for reading!